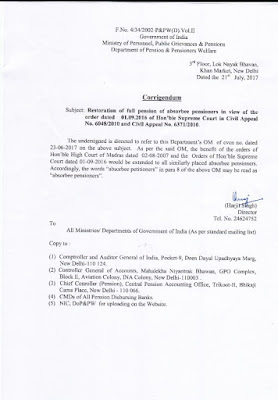 The undersigned is directed to refer to this Department’s OM of even no. dated 23-06-2017 on the above subject. 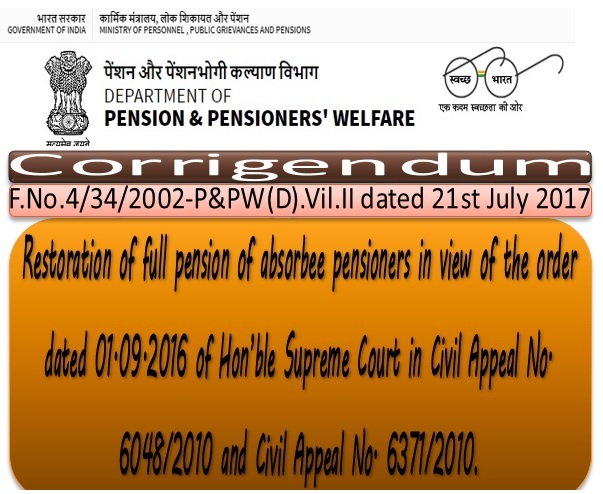 As per the said OM, the benefit of the orders of Hon’ble High Court of Madras dated 02-08-2007 and the Orders of Hon’ble Supreme Court dated 01-09-2016 would be extended to all similarly placed absorbee pensioners. Accordingly, the words “absorbee petitioners” in para 8 of the above OM may be read as “absorbee pensioners”. (l) Comptroller and Auditor General of India, Pocket-9, Deen Dayal Upadhyaya Marg, New Delhi-110124. 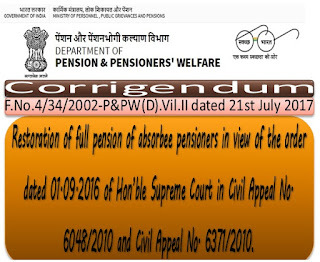 (3) Chief Conroller (Pension), Central Pension Accounting Office, Trikoot-II, Bhikaji Cama Place, New Delhi - 110 066. 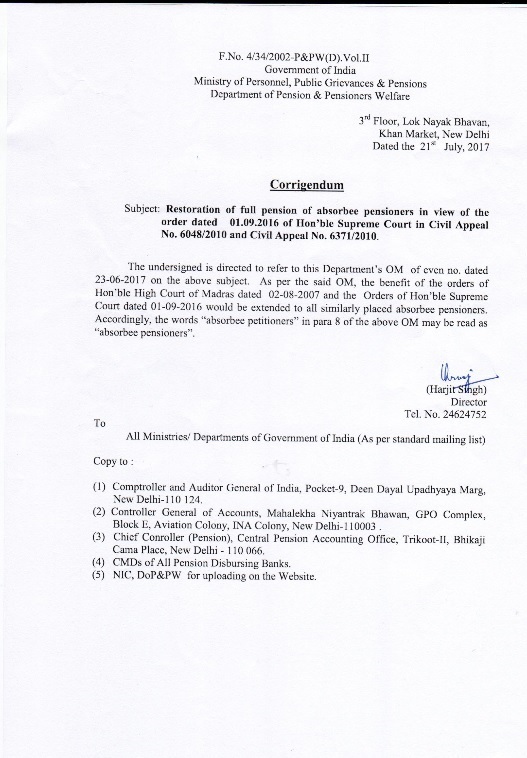 (4) CMDs of All Pension Disbursing Banks. (5) NIC, DoP&PW for uploading on the Website.